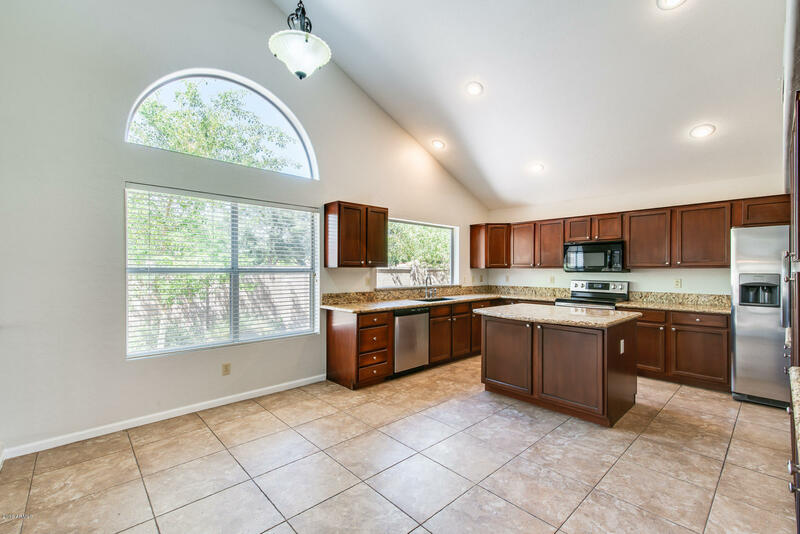 This spacious 5 bedrooms, 3 bathroom home is located in the desirable community of Pecos Ranch. 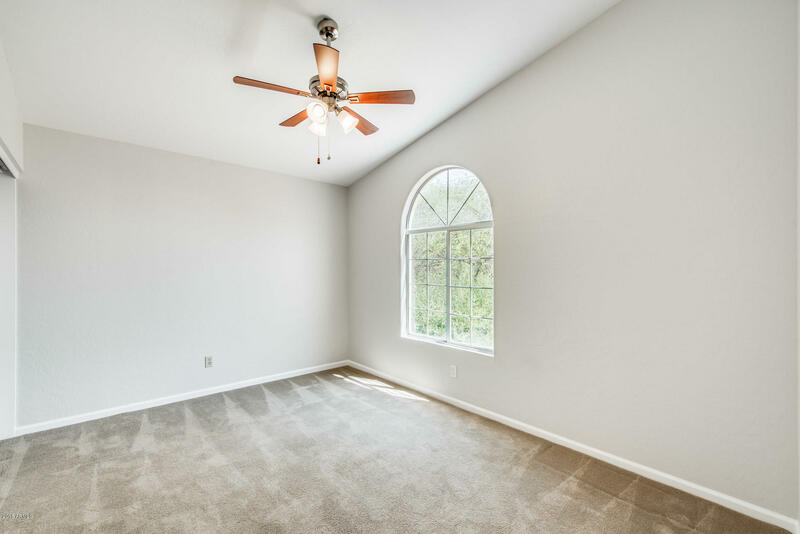 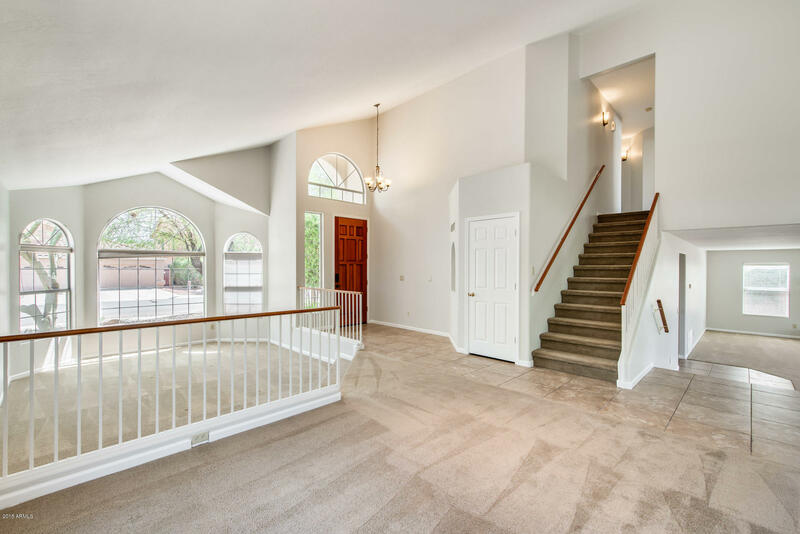 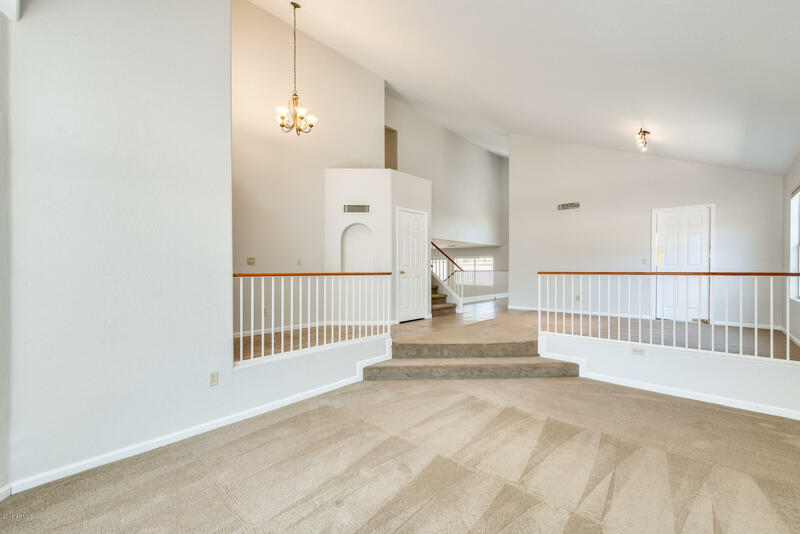 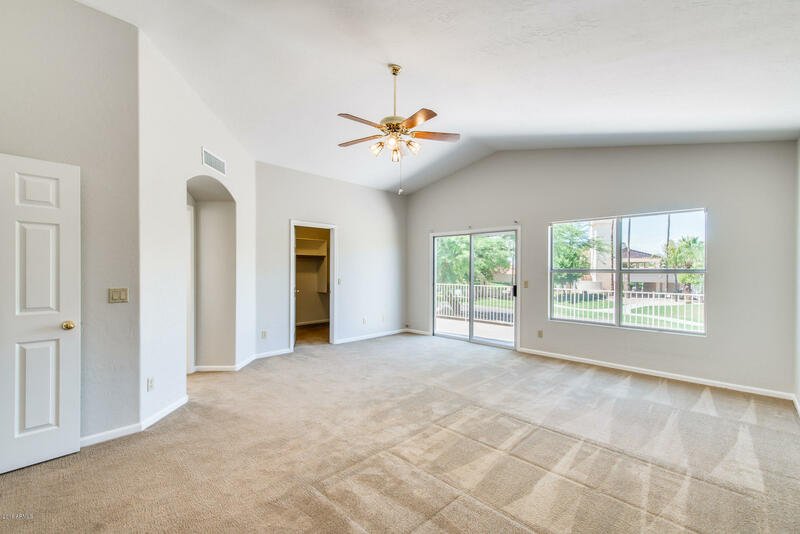 Step in the front door and you are welcomed into a formal living room and dining room. 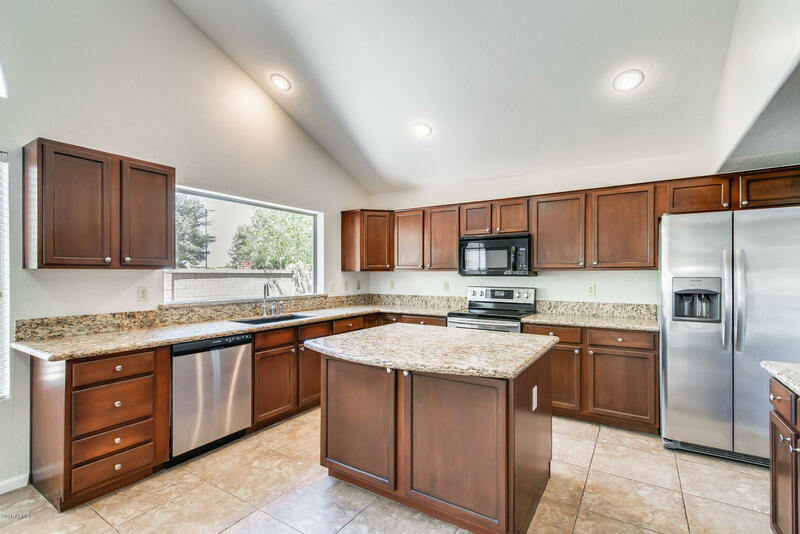 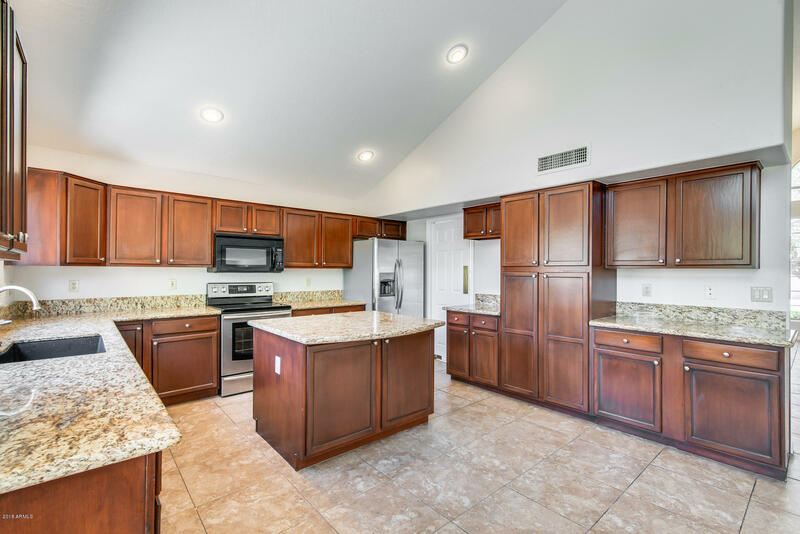 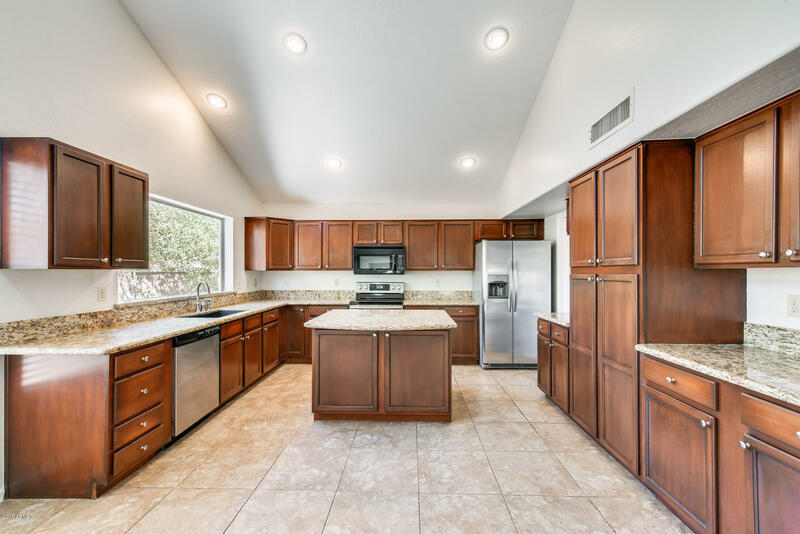 The chef style kitchen has stainless steel appliances, granite countertops, a large island, cathedral ceilings and plenty of cabinet space. 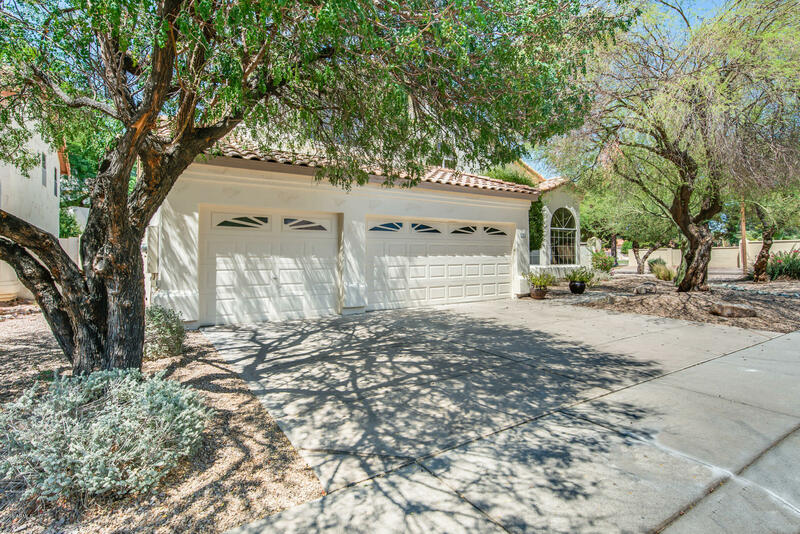 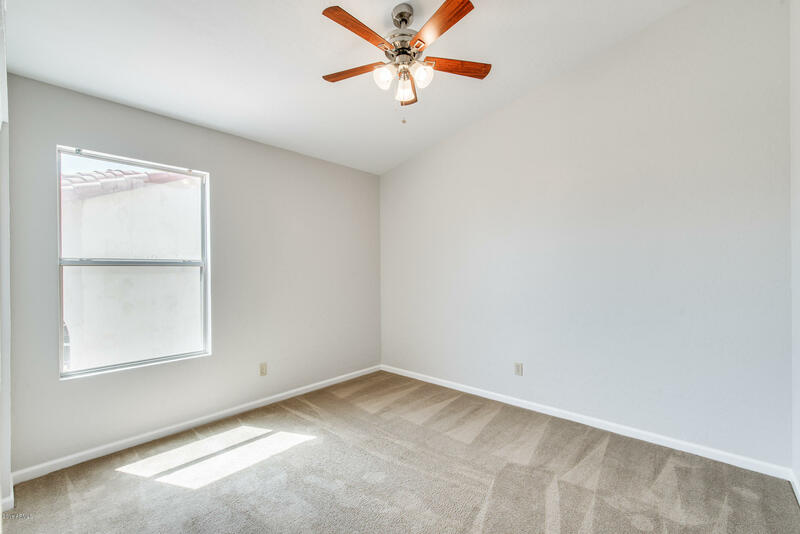 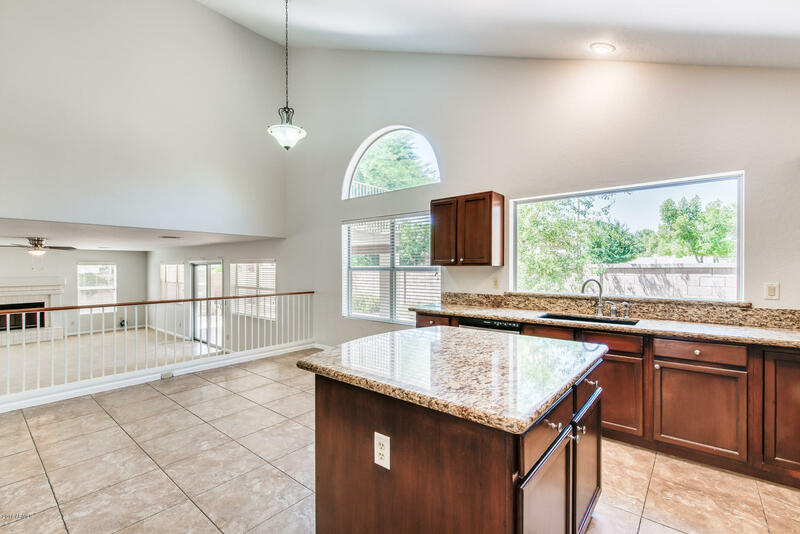 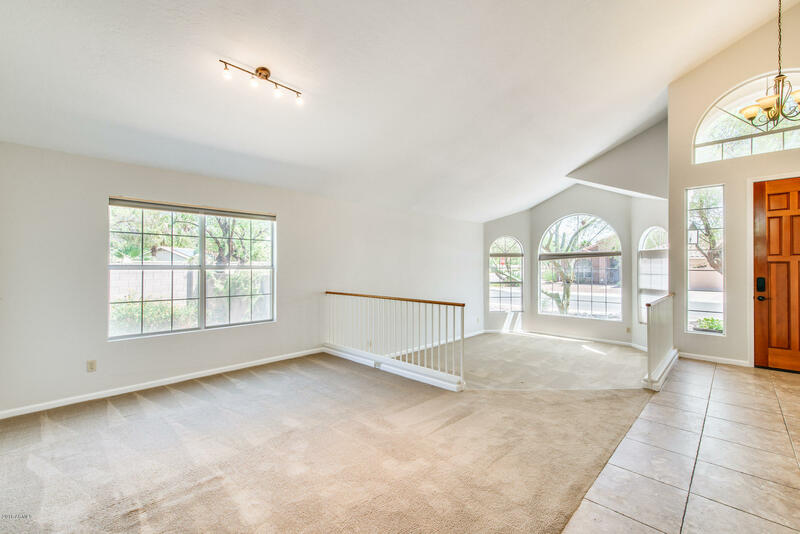 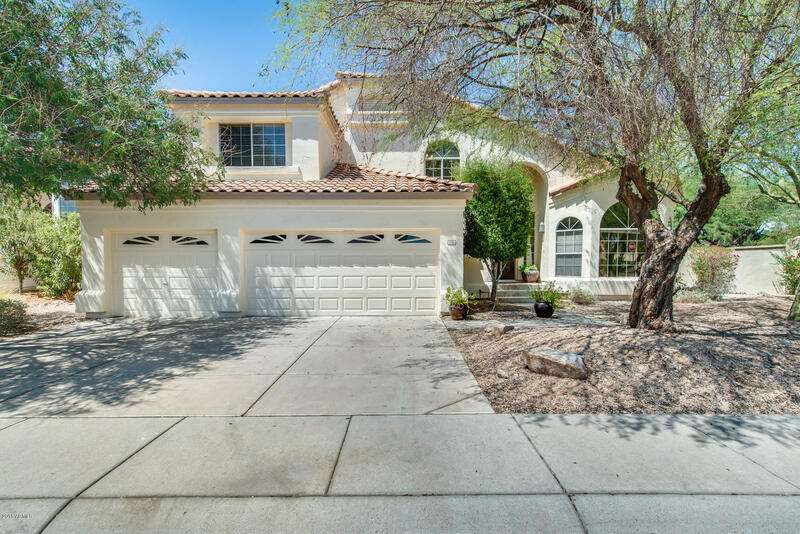 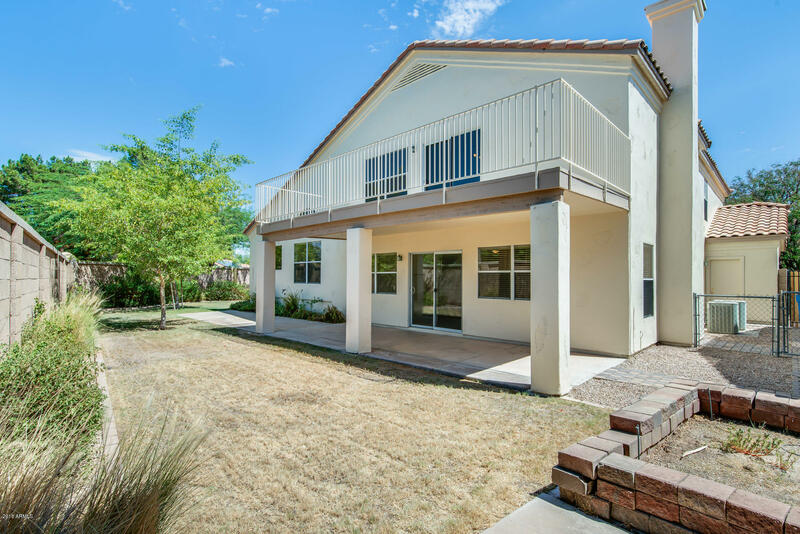 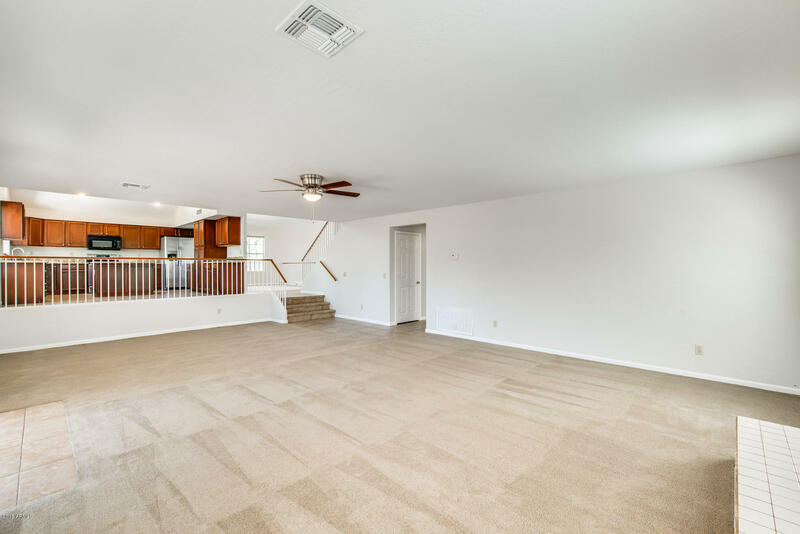 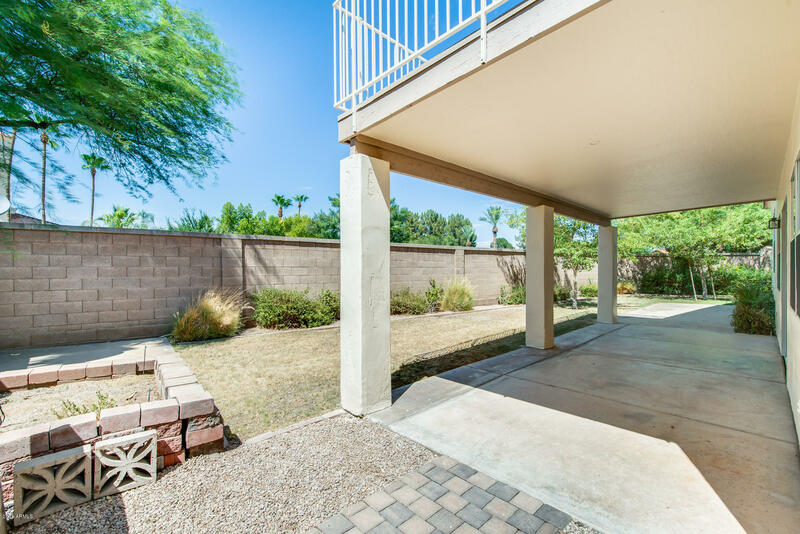 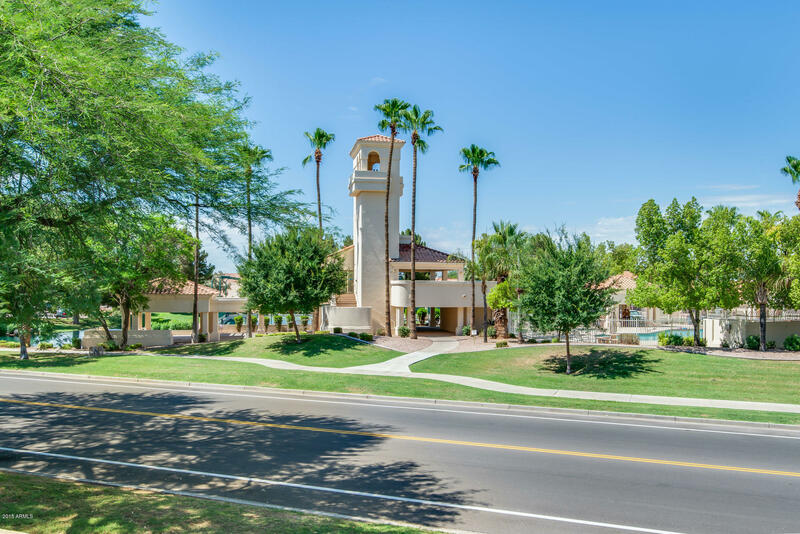 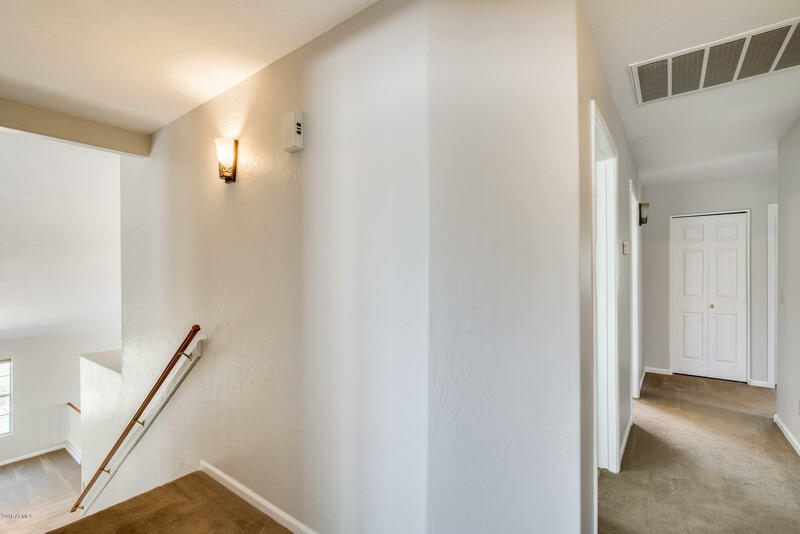 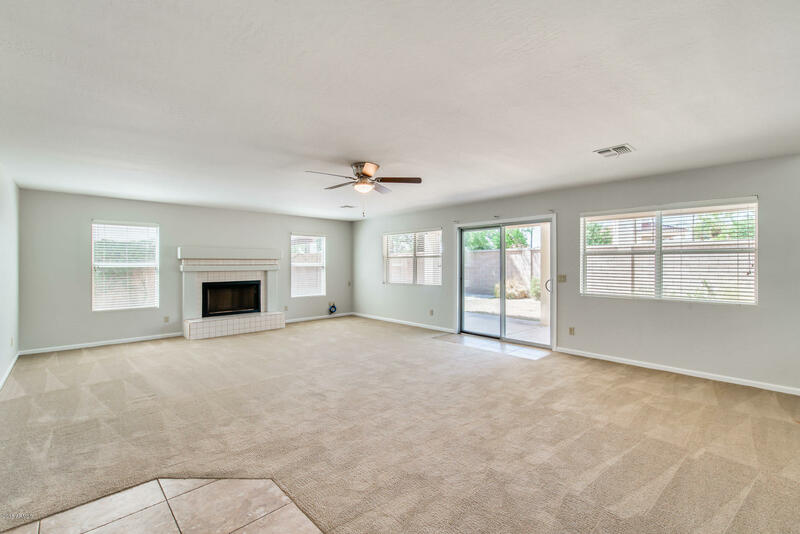 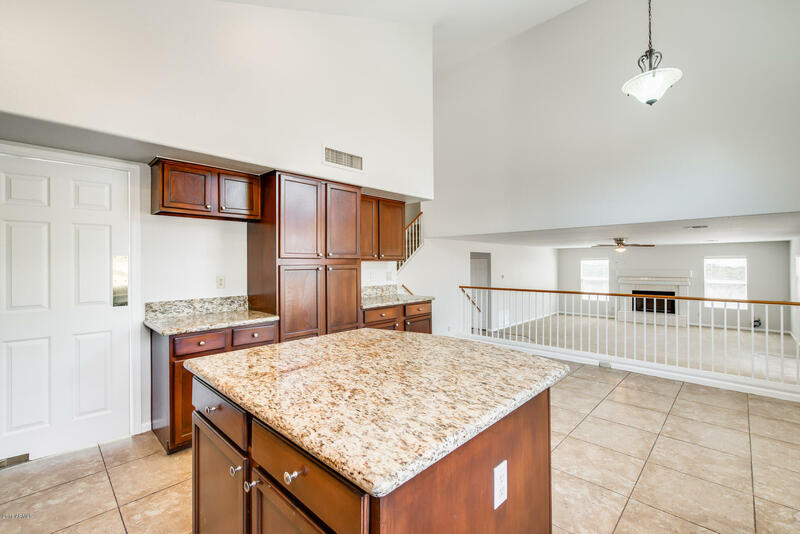 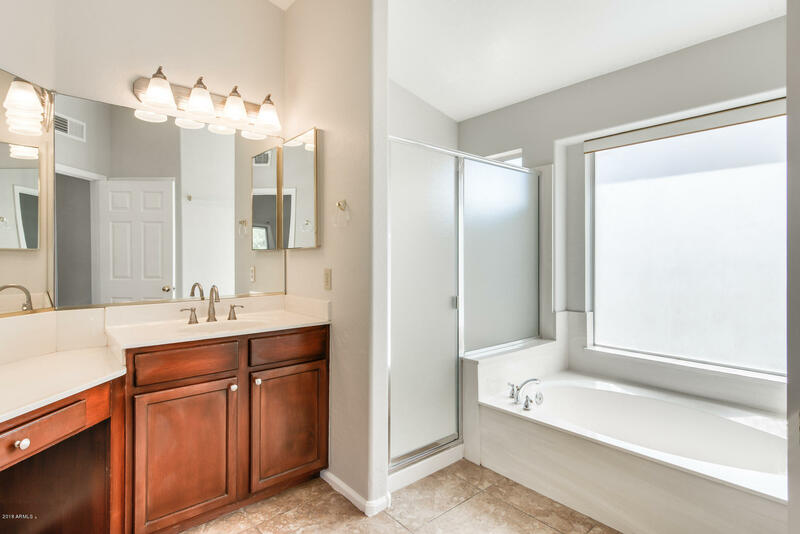 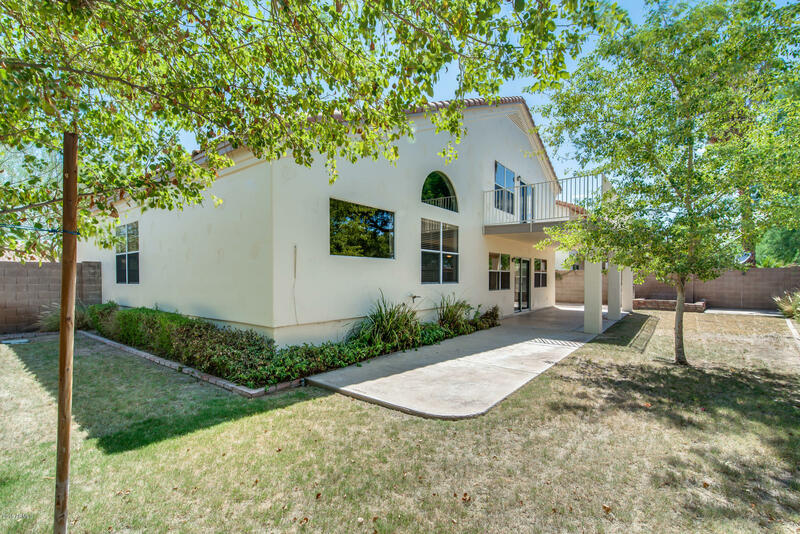 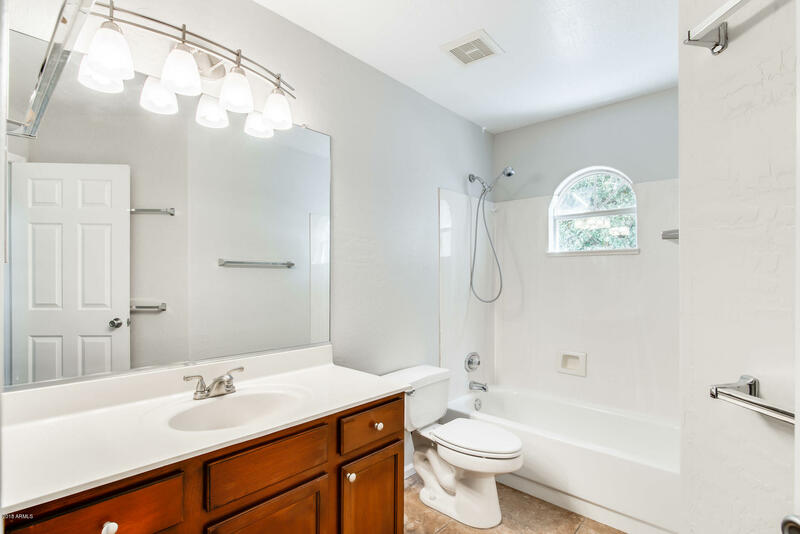 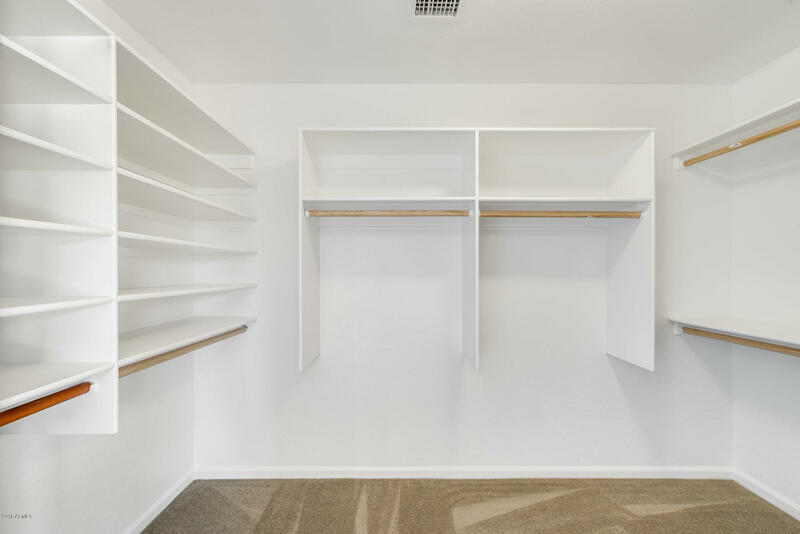 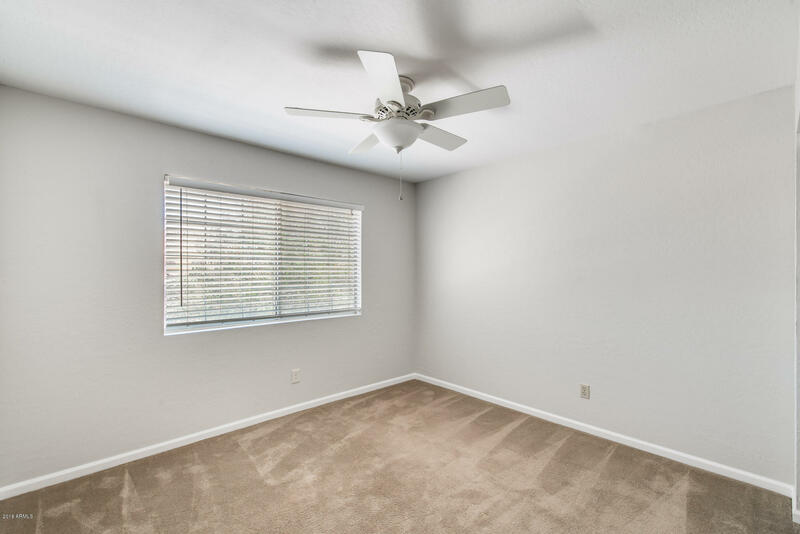 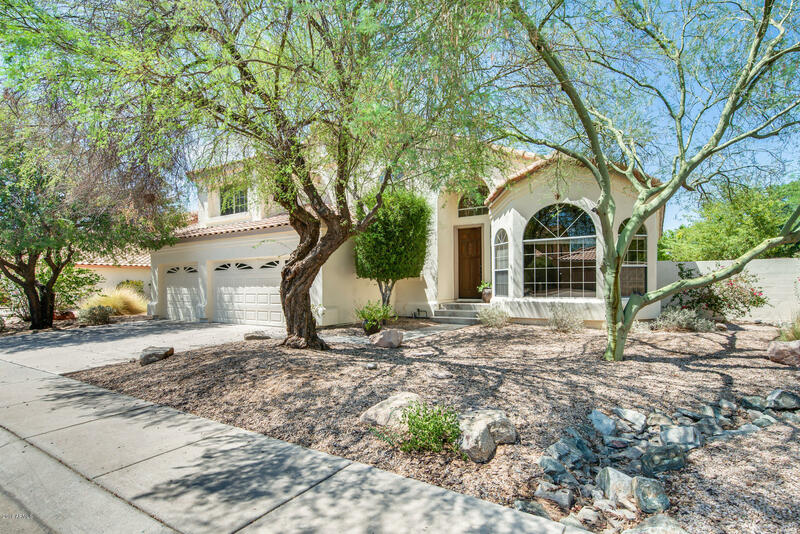 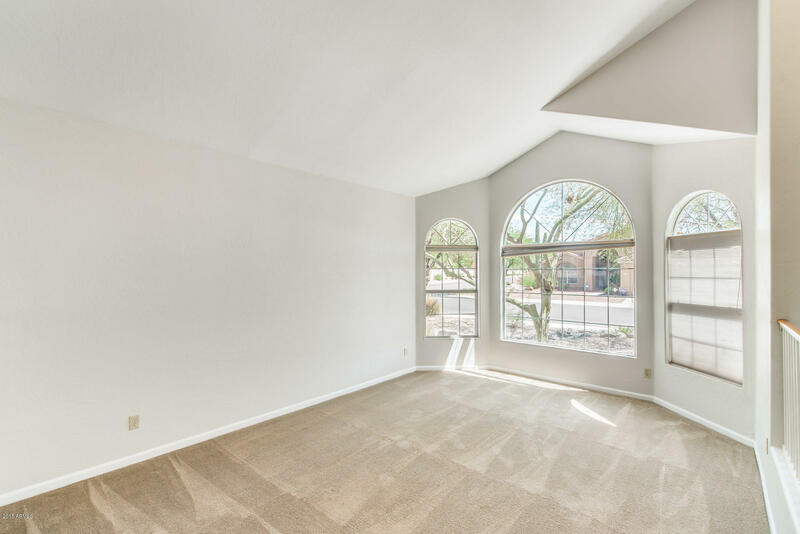 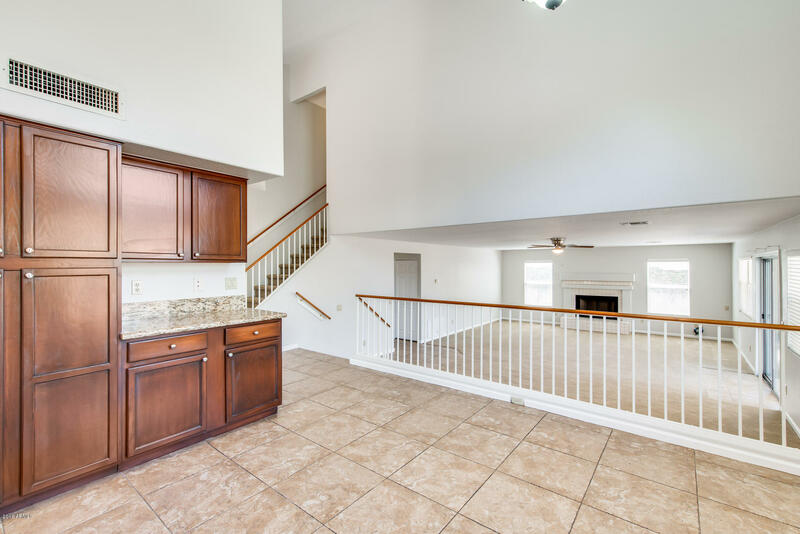 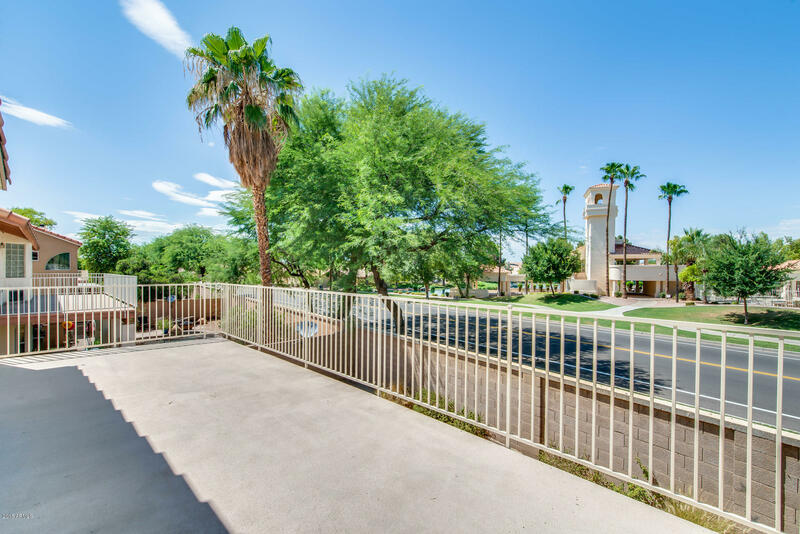 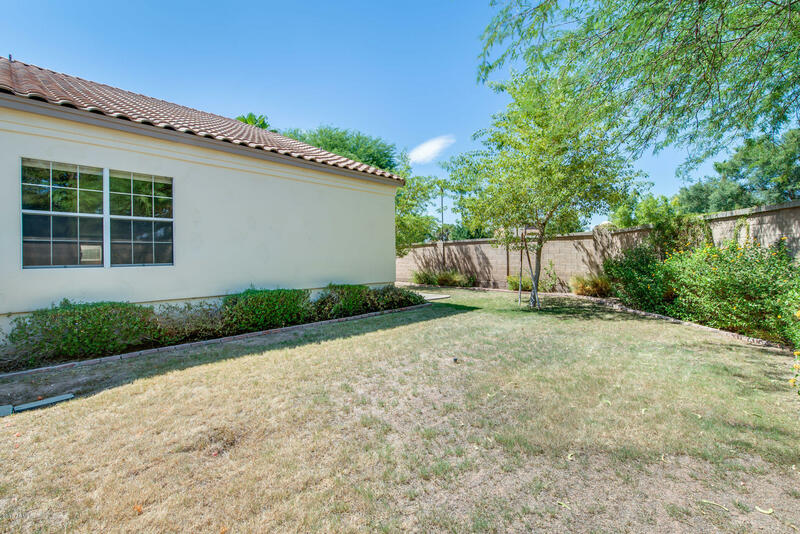 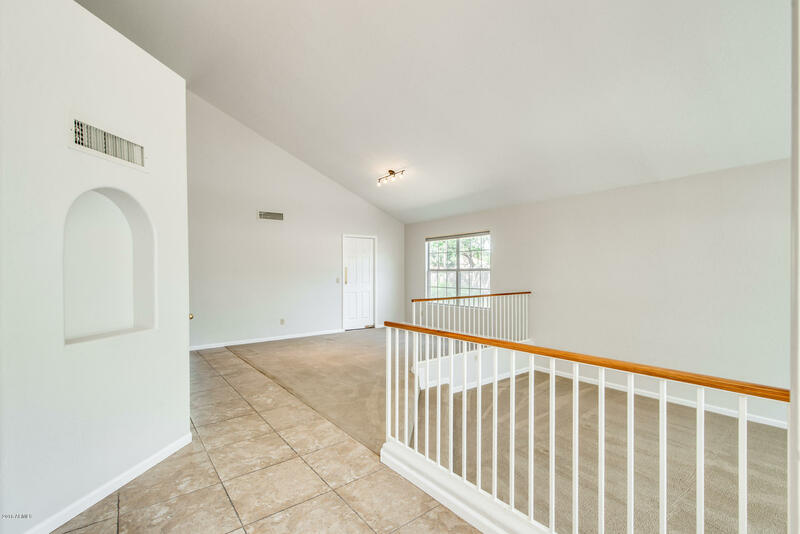 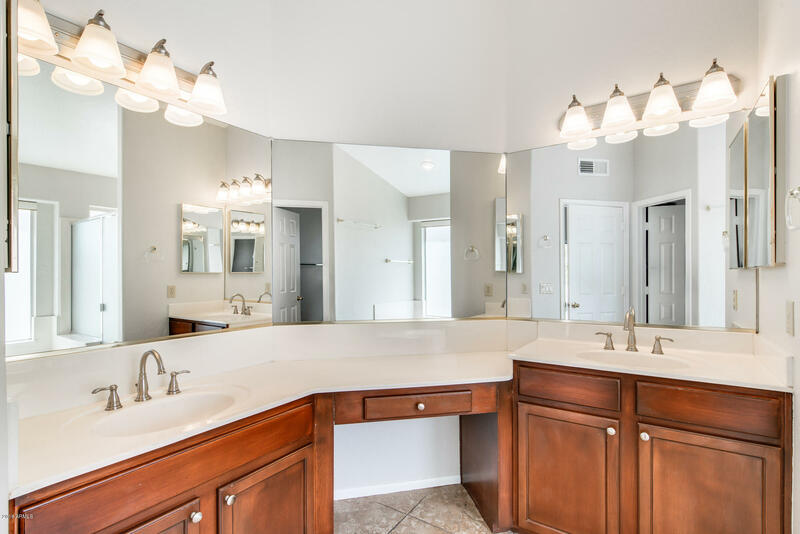 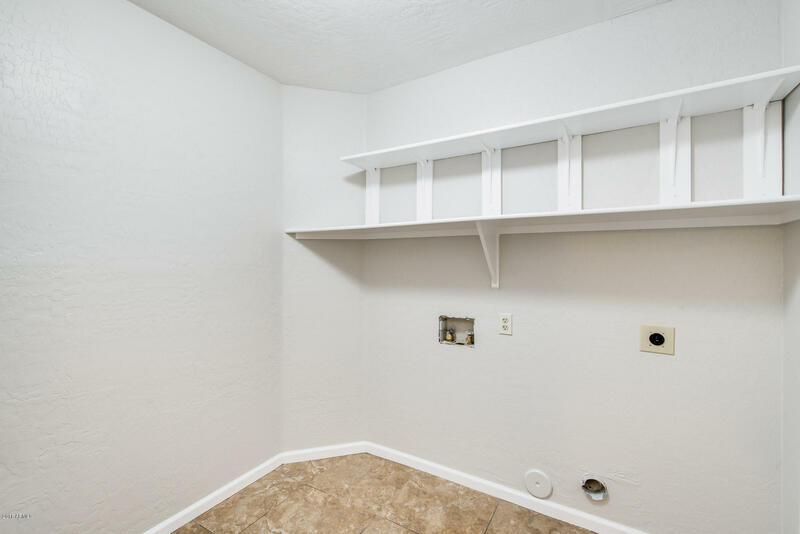 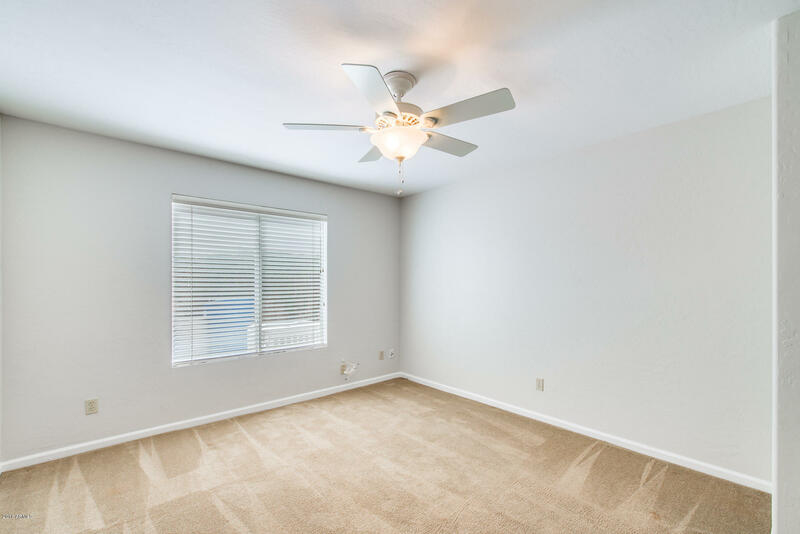 The master suite is upstairs and includes a separate bathtub/shower with access to your own private balcony which overlooks your backyard with lush desert landscaping and mature trees. 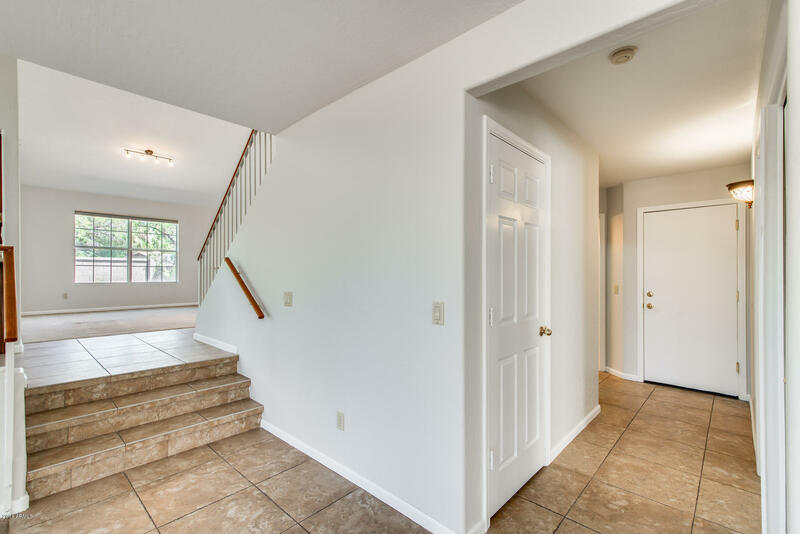 Four spacious bedrooms upstairs and one large bedroom downstairs. 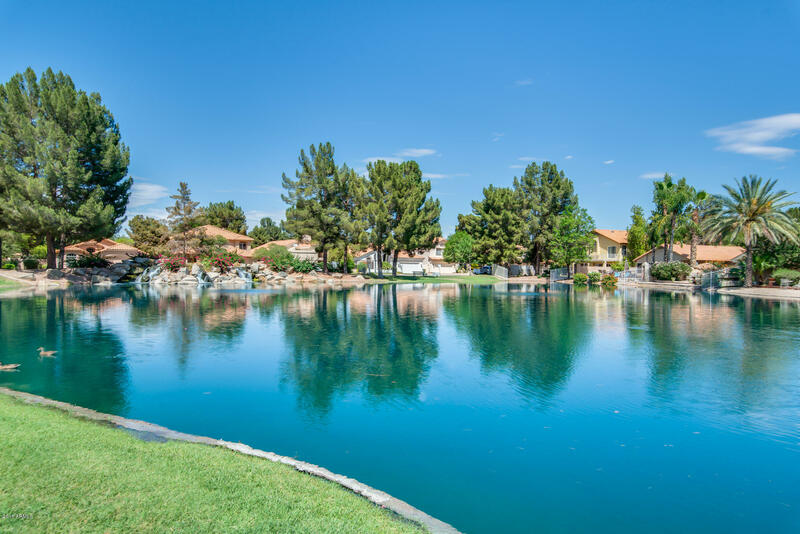 Pecos Ranch is a beautiful community that offers a community center with a pool, spa, tennis courts, lakes, walking paths and more!